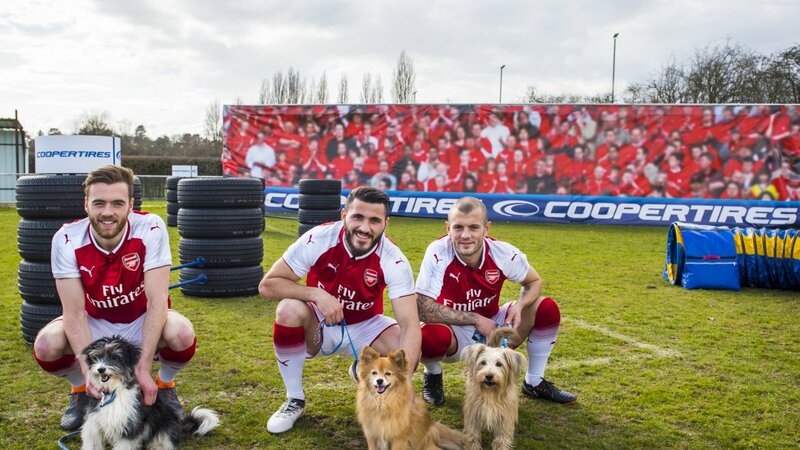 MELKSHAM, UK, 10 April, 2018 – Cooper Tire Europe has put the dog-loving members of Arsenal Football Club’s squad to the test, with the tyre manufacturer’s latest player challenge, the ‘Cooper Tire Agility Course’. 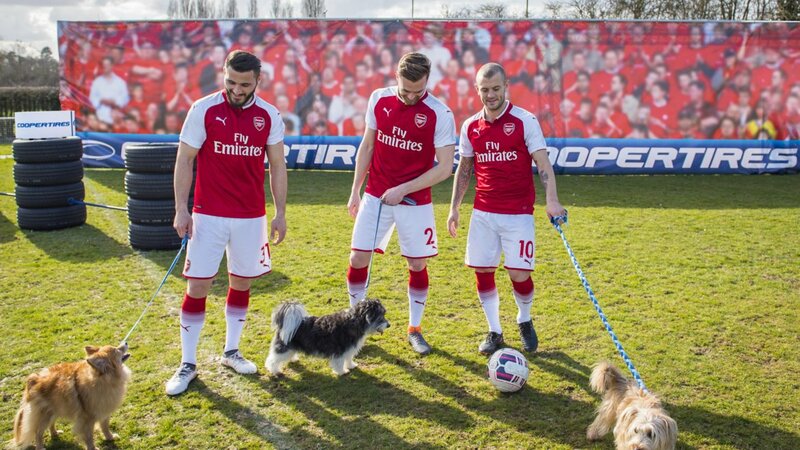 Defenders Sead Kolašinac and Calum Chambers lined-up alongside midfield terrier Jack Wilshere, who were each partnered with a fetching canine companion and given the chance to prove their dog-handling skills against the clock. 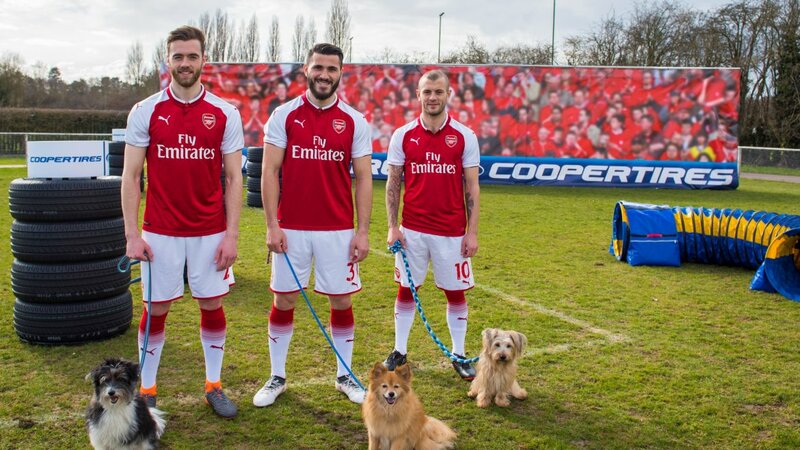 Bosnian left-back Kolašinac was partnered with Battersea dog ‘Woody’, Calum Chambers with rescue dog ‘Buddy’ and last but not leashed, Wilshere teamed up with the aptly named cross-breed ‘Cheeky’. Each player was challenged to lead their respective dogs around a custom-built dog agility course, with obstacles made from Cooper Zeon 4XS Sport tyres, designed for the medium and large SUVs favoured by many Premier League footballers. The challenge finished with three attempts to kick a ball through a tyre hanging from the crossbar – with the clock stopping if the ball went through the tyre or after three unsuccessful attempts. Chambers and his partner ‘Woody’ triumphed on the day, lapping the course in a time of 28.76 seconds. 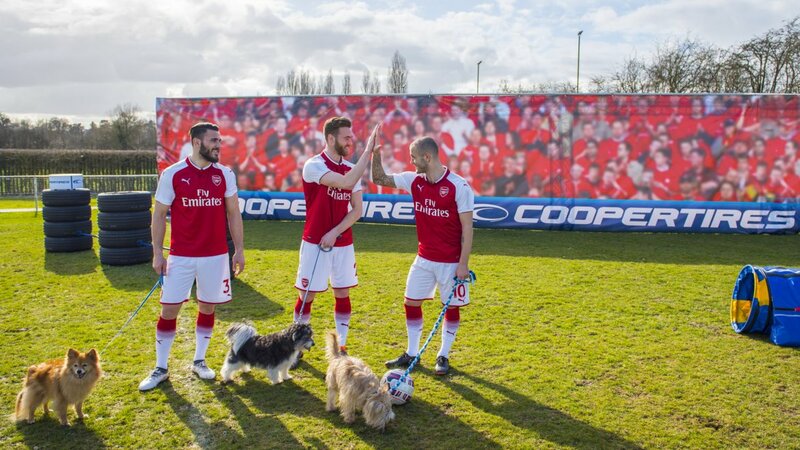 Kolašinac and ‘Buddy’ finished second in a time of 30.87 seconds, while it was a ‘tail of two halves’ for Wilshere and ‘Cheeky’ who after a brief paws, struggled home in third with a time of 36.52 seconds. Wilshere, recently recalled to the England squad, is well known for his pack of three dogs – Rex, Dolly and new addition Winston. Meanwhile, Kolašinac has recently added a ridgeback called Vuj (or Wolf in Bosnian) to his household and Chambers has been a self-confessed dog lover since he was a small boy. As the Official Tyre Partner to Arsenal Football Club, Cooper is known for its long-standing series of player challenges, which are created especially for the fans. Cooper Tire Europe Marketing Communications Manager, Sarah McRoberts, said, “Congratulations to Calum Chambers and Buddy on winning our latest player challenge. 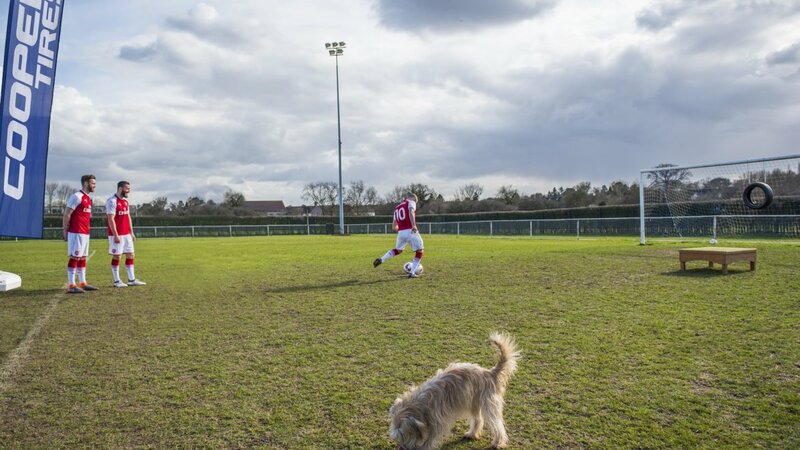 It was wonderful to see the dog-loving players in their element away from the pitch with their canine partners. Jack did very well to tame the suitably named ‘Cheeky’ but, ultimately, Calum’s determination and empathy with ‘Buddy’ shone through and got them a deserved win.